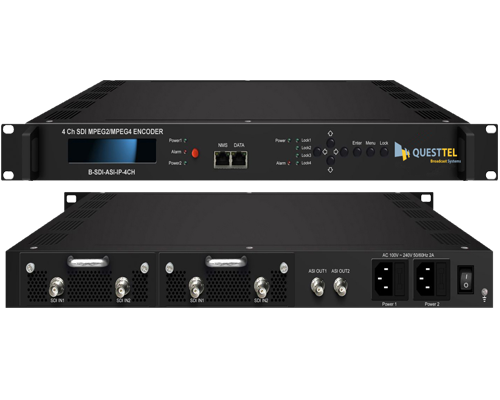 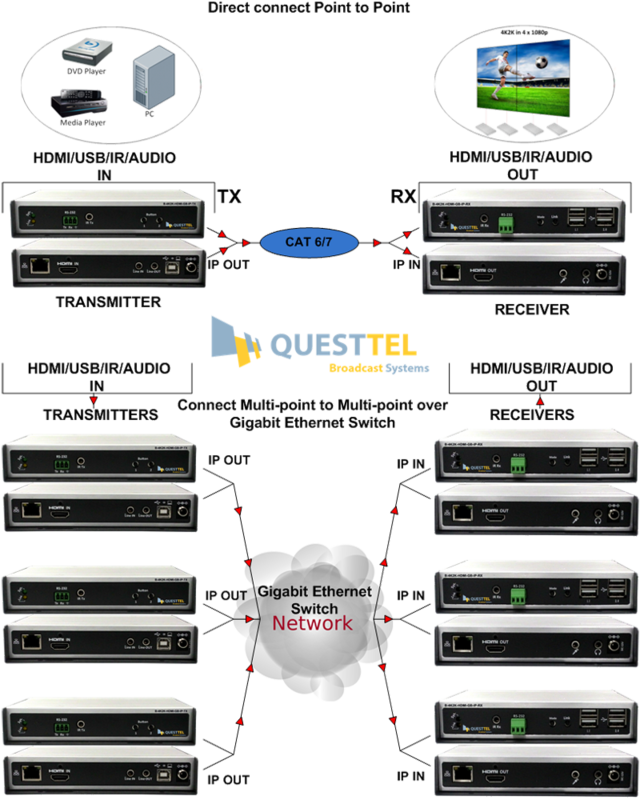 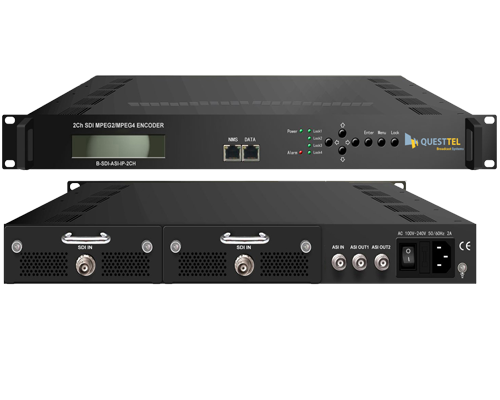 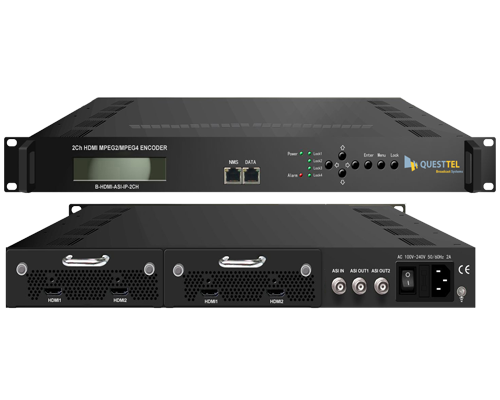 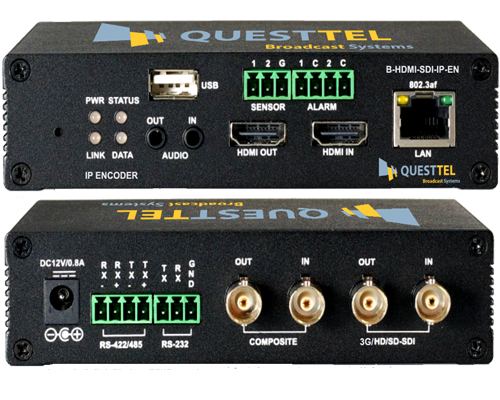 QuestTel 4K2K HDMI Encoder & Decoder - converts any HDMI source to Gigabit IP Ethernet using Multicast or Unicast streaming for real time broadcasting with USB/IR/RS232 options. 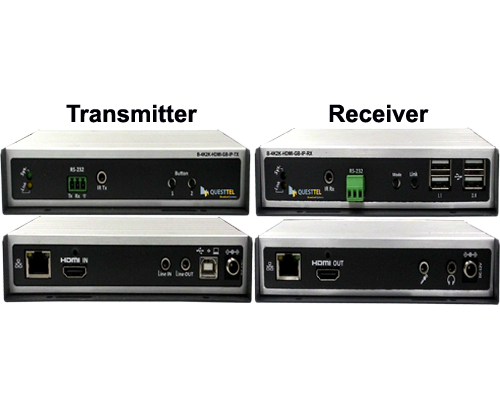 B-4K2K-HDMI-GB-IP-TX/RX is a perfect solution to distribute 4K2K HDMI video signal from any source over network, the system can be configured for Video-Wall displays. 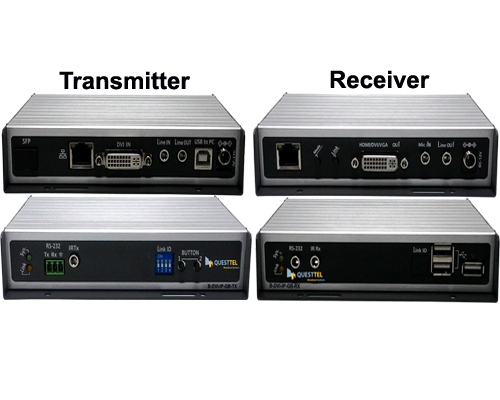 Encoder and Decoder use standard IP technology, it allows the signal to be taken over public or private network. 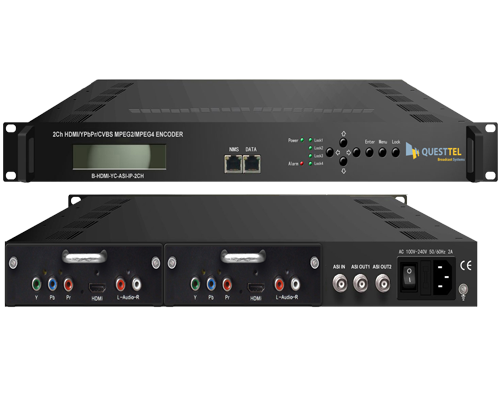 Transmitter converts HDMI video, audio, USB and RS-232 to IP packets and broadcasts them over the network, receiver obtains the packets and converts them back to Video and Data. 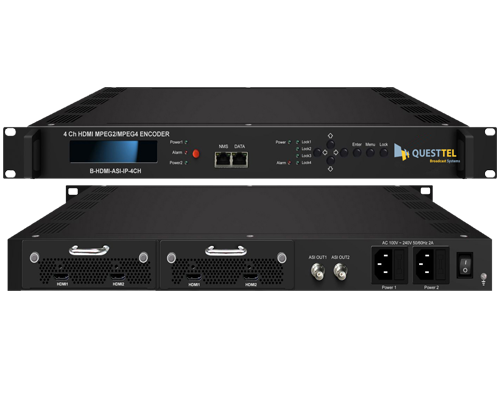 B-4K2K-HDMI-GB-IP-TX/RX is specially designed for professional AV applications such as broadcasting, digital signage and educational applications.